“Good morning everyone! Breakfast is ready!” I hear a voice call from outside my tent at 6:30 a.m. 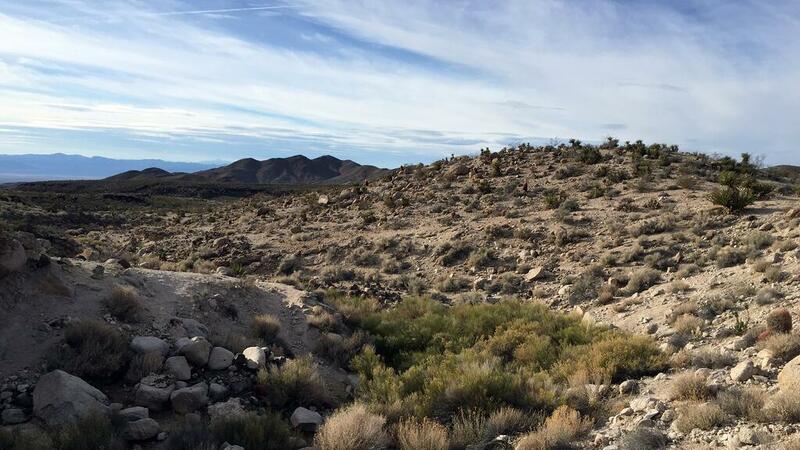 The air is crisp and still on this early January morning in the Mojave National Preserve. We are about three hours outside of Los Angeles, California, but we are the only people within 10 miles of our base camp. Jess Pelaez, the founder and CEO of Blueprint Earth, has been up for the past hour. She has been checking to make sure our Global Positioning System (GPS) devices and Thermo-Hygro-Anemometers — which are used to calculate wind speed, humidity and air volume — are fully charged for our eight-hour expedition into the desert. Blueprint Earth is an environmental research nonprofit that aims to catalogue individual environments for the purpose of education and scientific research. It is guided by this belief: By understanding how an ecosystem works — from the smallest of animals, to the geological composition of the land, to the diverse array of plant species — we will have a greater understanding of how to repair the ecosystem in the event that it is damaged. 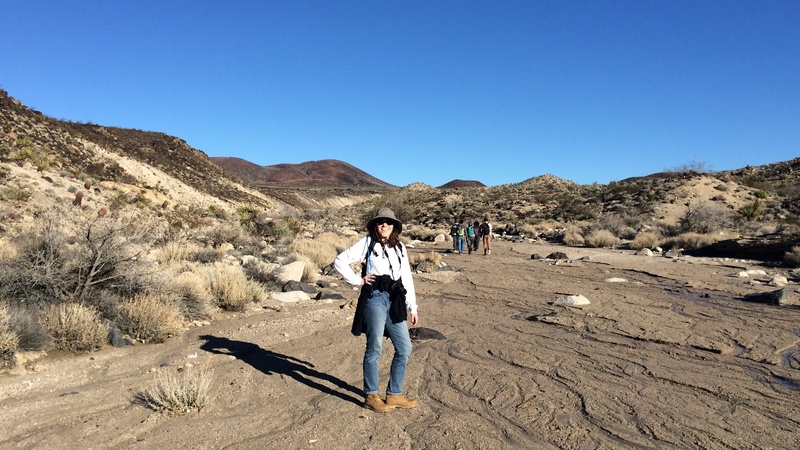 The January 2017 trip to the desert was part of Blueprint Earth’s 11th expedition to the Mojave National Preserve since the nonprofit was established in 2013. 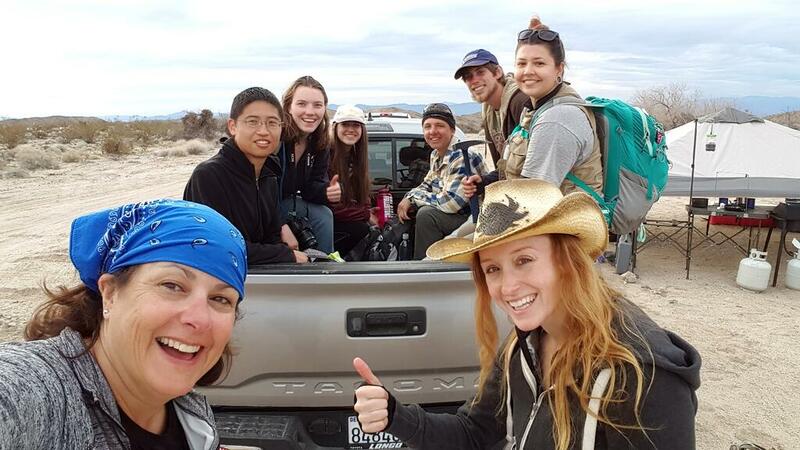 The crew of eight included volunteer scientists from various universities across California and students from all across the United States. Every morning we hiked 2 miles into the field area from our base camp. From there we broke off into two specialized research groups of biologists and geologists. The geology volunteers spent the day walking all around the 1-square-kilometer field area, identifying and analyzing rock formations to interrogate their hypothesis of the geological history for the area. The biology volunteers — my group — worked within the one-square-kilometer field area, which was divided into 100 ten-square-meter transects, or areas of study. Within each square-meter transect, we had two main responsibilities. 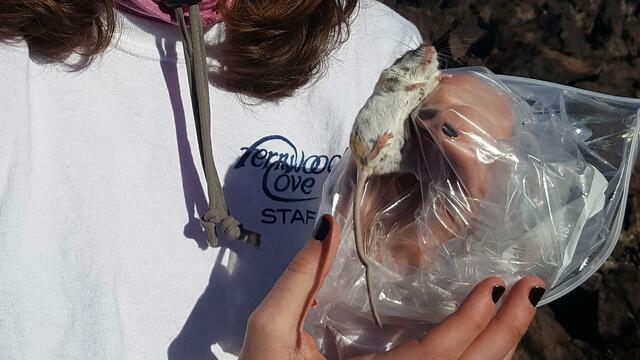 One task was to report on desert mice and rats, which we would catch in safe traps or with field cameras. By measuring the length of the rodent’s tails and hind feet, we were able to track the health and average age of the population living in the field area. Our second task was to identify and document seasonal vegetation. We observed hundreds of different plant species within this field area alone, all of which serve a purpose in sustaining this unique ecosystem. Spending one week in the Mojave greatly enhanced my field-research skills. I became well acquainted with using a variety of field tools, taking precise observations and communicating my research with a research team. My January experience was made possible by funding from the Miller Worley Center for the Environment — and sparked by an earlier internship with Blueprint Earth in the summer of 2016. With the support of Lynk Funding, I was able to work as a data analyst intern for Blueprint Earth in their headquarters in Los Angeles, California. 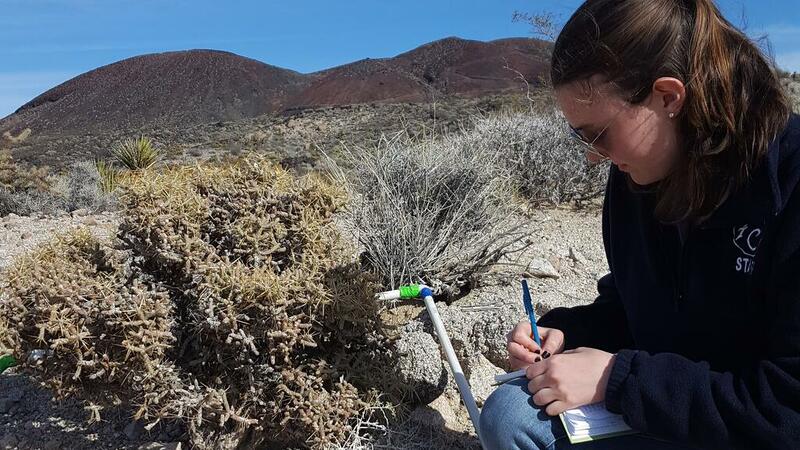 Although I learned about the hundreds of plants and various animals that lived in the Mojave Desert, I did not have the opportunity to experience data collection personally. Which I really wanted to do! And I’m so glad I did. Working alongside scientists in the field and applying the skills I have gained from my Mount Holyoke classes was rewarding and inspiring. My experience with Blueprint Earth has exposed me to a new type of work beyond the field of environmental policy that I have been studying. And it has opened my mind to career paths involving scientific environmental research. Make a blueprint for your dreams. Sarah Braverman ’17 is from Tenafly, New Jersey. She graduated with a major in environmental studies — with a concentration in politics, policy and economics — and a minor in sociology. On campus, Braverman applied her interest in public affairs as a senator in the Student Government Association and her passion for social justice work as a diversity and inclusion MoZone Peer Educator. 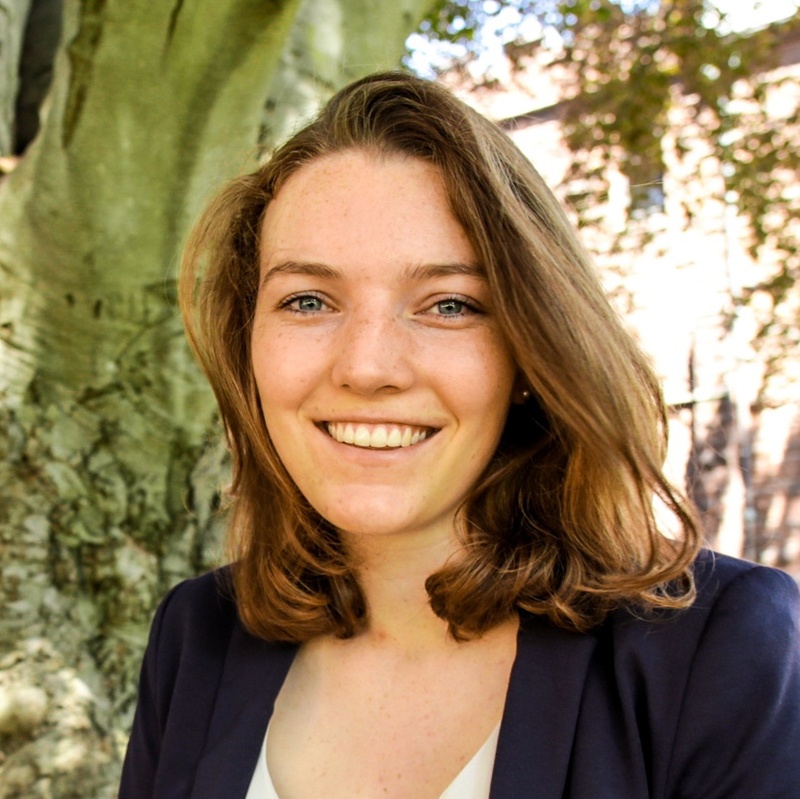 Having worked as a student intern for Environment America during the fall semester of her senior year, she looks forward to continuing her work with the nationwide advocacy group as a campaign manager in their New York City office during the summer of 2017. Come September 2017, Braverman will begin work as a research intern at the Arava Institute for Environmental Studies in Israel, where she will study trans-boundary water policy. She aspires to a future career in environmental law and policy.